MANILA - The military confirmed Monday that there is strong indication that Islamic State-linked militants have been beheading hostages since they laid siege to the southern city of Marawi a month ago. "Naging napakarami po ng ganitong impormasyon dahil lahat po ng kanilang nahuhuli at nakikita nilang pawang mga Kristyano ay ine-execute nila," Armed Forces spokesperson Brig. Gen. Restituto Padilla told radio DZMM. "Malaki po ang pruweba na hindi lang noong simula [ng bakbakan] nila ginawa ito kundi patuloy pa rin hanggang ngayon," he added. The terrorists, Padilla said, have recently uploaded videos of the executions on the websites of their sympathizers. Civilians rescued from Marawi's war zone also confirmed the execution of captives, the official said. One former hostage earlier claimed he saw the severed head of one of the Maute's victims. Padilla said authorities have yet to recover the remains of beheaded victims because the killings may have been done in the villages that remain under rebel control. He added that some 500 non-combatants were still trapped or being held hostage in these areas, based on estimates from the local government. Authorities rescued 5 people from the conflict area on Sunday, when the military implemented an 8-hour ceasefire to give way to the celebration of Eid al-Fitr or the end of the Muslim holy month of fasting. 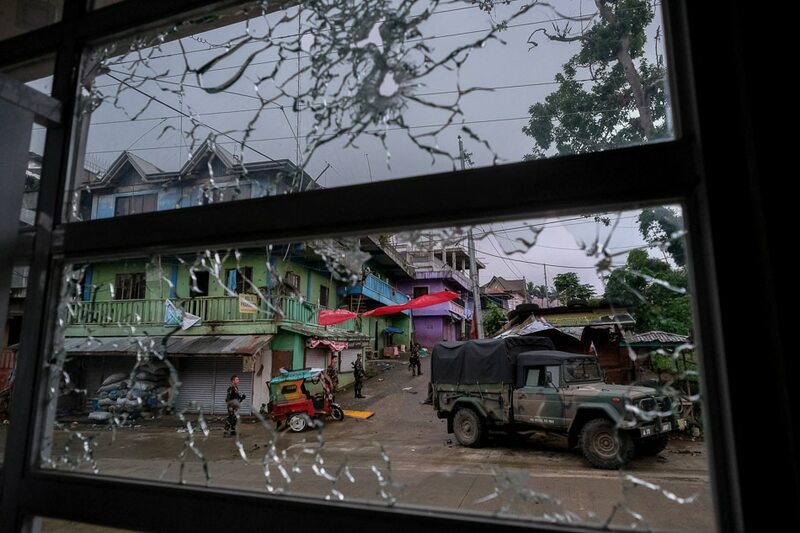 The battle for Marawi, which prompted President Rodrigo Duterte to place all of Mindanao under martial law, has left dead 300 extremists, 69 state troops and 27 civilians, Padilla said. Donations for the families of slain security forces may be deposited to the military's LandBank account, AFP Marawi casualty - 00000552107128. The army is also accepting donations for displaced Marawi residents through LandBank account, Marawi IDP - 00000552107136.